Three of your favourites are about to leave Paradise in the most shocking episode yet. Who's about to say goodbye? 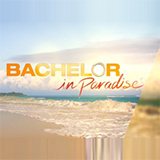 Bachelor In Paradise was broadcast on Ten at Monday 16 April 2018, 21:17.